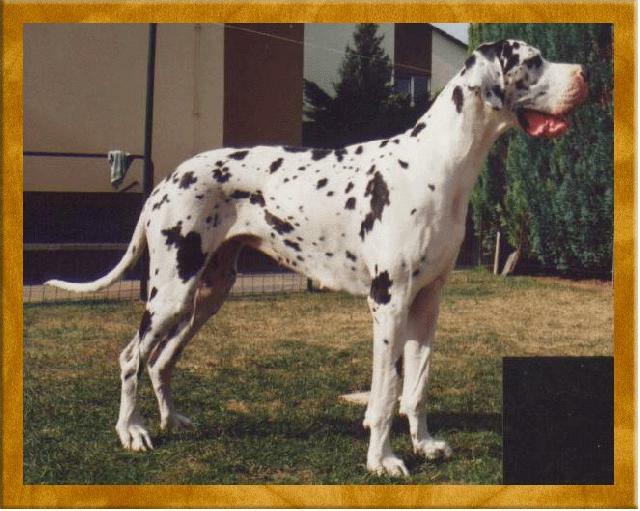 The Great Danes breeding 'von Schlesien' history goes back to the year 1990. That beeing the time I got my first female 'Zarina von Maverick'. A very beautyful and also successful harlekin female giving birth to puppies twice. That was still under the breeding name 'vom Hause Kamitz'. Since 1995 living in Messel, the breeding 'von Schlesien' was opened. First with 2, then 3 and today with 13 Great Danes. Because a breeder full of enthusiasm and love to the dogs never can give away all the babies!! Here you can see a few examples of how our dogs live. Of course, the kennels all have under-floor heating and the puppies outdoor areas are monitored.